This delicious stir fry makes a great side dish or a main meal. 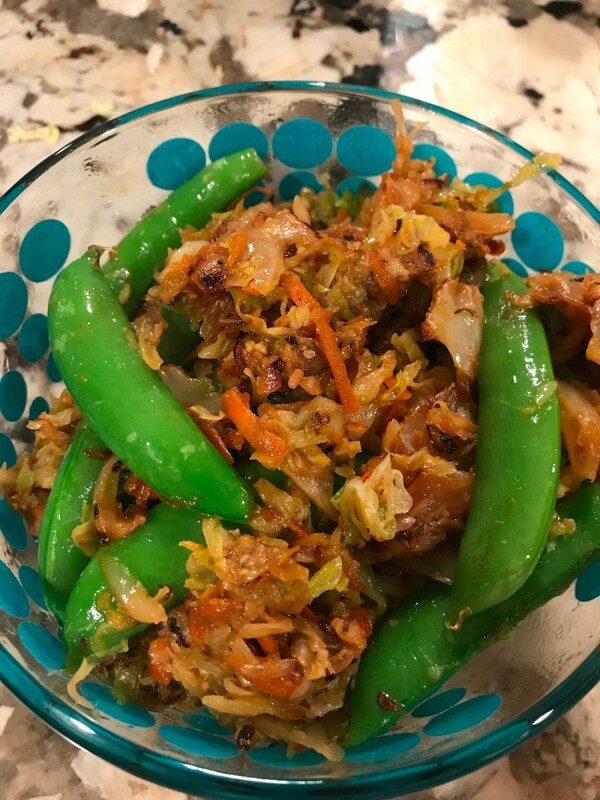 The recipe combines cabbage, carrots, bell peppers, snap peas, and more for a healthy vegetable offering. Serve it warm or cold. This is a wonderful side dish to serve or as a healthy salad that can be eaten cold or warmed up, perfect balance of vegetables paired with snap peas. Prep your vegetables. 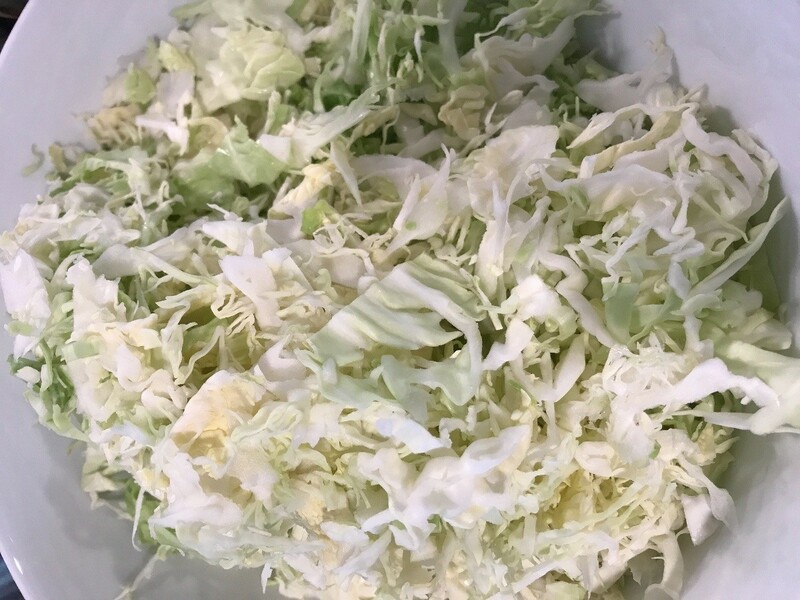 Wash and clean cabbage, chop cabbage fine. Shred green bell peppers, carrots and thinly slice mushrooms. Mince garlic clove finely. 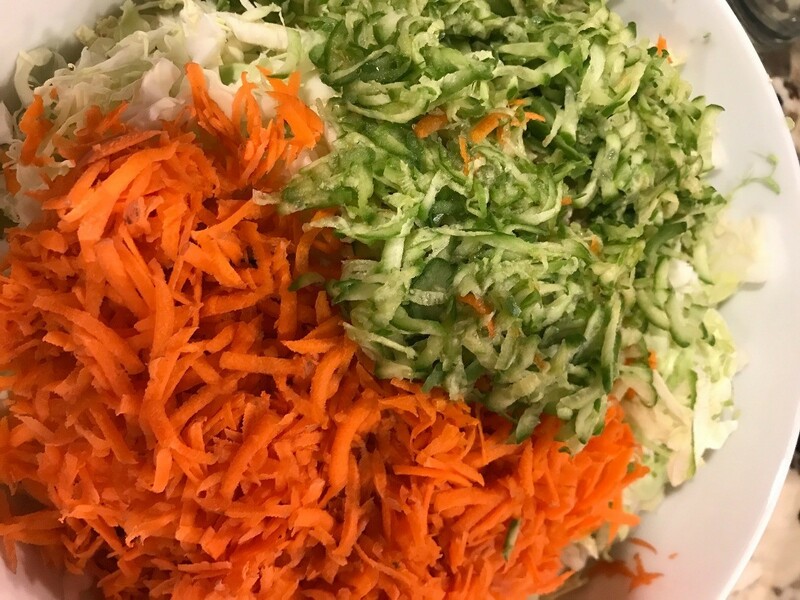 Gather cabbage, green bell pepper, and carrots into a bowl. Separate the mushrooms and minced garlic. In a separate bowl, add your soy sauce, vinegar, and miso paste. Mix well. Heat a large skillet over medium high heat, add oil and minced garlic. 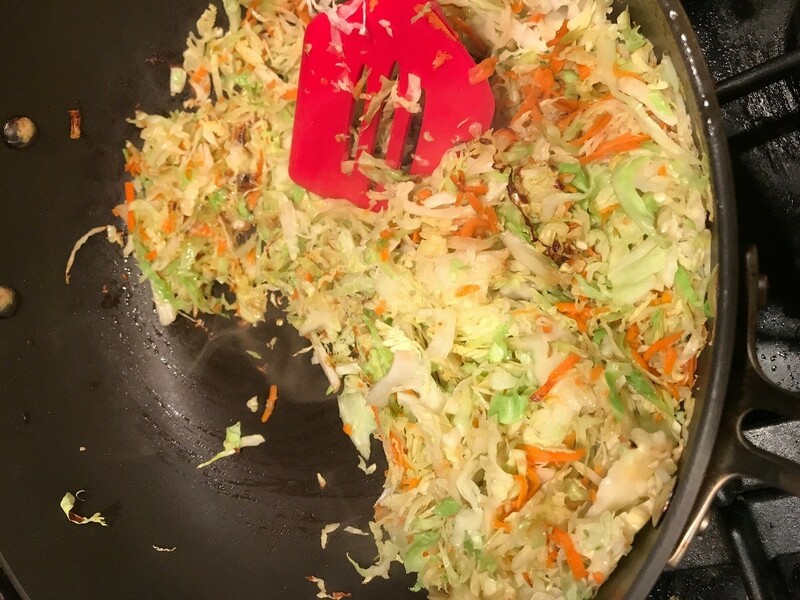 Add bowl of cabbage, green pepper and carrots. Sauté for a few minutes. Add in bowl of paste mixture and sauté for a few minutes until lightly browned. Optional: Serve with snap peas. To prepare just follow instructions on the packaging. I microwaved for a couple of minutes as they were a frozen type.